3...2...1...blast off! If you're looking for a fun theme to incorporate into your child's room, try a space-themed room. Any child that loves space, rockets, planets, and galaxies will enjoy this engaging design motif. A space-themed room is ideal not only for a bedroom; space decor can be used almost anywhere. Use these ideas to add a bit of sci-fi mystery to a playroom, kid’s bathroom or any other space where you think it'll be appropriate. So many of the elements can be made by yourself, so if you are into DIY, a space-themed room may be right up your alley. There are also many decorating products in stores that are space themed, so anyone can create a celestial space. A great way to decorate any space is to do it for free, and these gorgeous space-themed graphics, photos, and kid-friendly art ideas are easy to print and use. Let them inspire you as you design the room. Furniture should be fun in kid's rooms, and these space-themed room furnishings can help you create another world for your child. Many of these would even be easy to do yourself. You can also add space-themed touches to existing furniture. Stars and galaxies are all about the light. After all, we couldn't see other planets and stars if they didn't reflect or emit light. Incorporate celestial lighting with these outer-space themed lamps and lighting into the room. All the add-ons can make a space-themed room even better. From curtains to photo frames to bed sheets, use these nifty ideas to create a celestial bedroom, bathroom or play area for your child. There are plenty that you can purchase or make yourself. 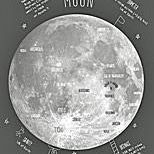 From decals to glow-in-the-dark planetary alignments, adding a little celestial bling to a wall or ceiling can make the room even more interesting. These are an inexpensive way to add the space theme to the room--plus, they remove easily for when your child outgrows the interior design. See the link above for Decor Dock's post on space-theme decor on a budget.